Due to higher than expected voter turnout, election officials have decided to allow only Conservatives to vote on Tuesday – Liberals to vote on Wednesday. Please pass this on to all your liberal friends. Once upon a time, there was a great business called health insurance where an agent could get a license to sell this fabulous product and make a great living. But then the government decided to make drastic changes to this fine business and the rules and regulations became almost unbearable. As time went by, the government decided the health insurance business needed to be changed completely and to be run under the direction of the government themselves. Well, it’s not just a story because the new health care reform bill has passed and we know major changes in the health market are coming. The most serious of those changes will directly affect how those of us are who sell individual health are paid commissions. The days of $600 to $800 advance commission you earn per sale are all but over. Some companies have decided to limit advances to $300 per sale for a period of time, others will suspend ALL advances for a period of three months and when re-instituted, (if at all) will be limited to $150. What that really means, is that if you were writing 4 applications per week and earning $2,000, you will now have to write 13 applications per week to earn the same amount and common sense tells us that it’s impossible for that to happen. “In my opinion (which is based on the General Accounting Office numbers) individual health insurance will eventually end, at least in terms of agents, just like it has in Massachusetts, where everyone buys insurance from the exchange. So again, individual health insurance will still be available, but only in health insurance exchanges where each state is responsible for their own exchange and which companies offer plans through the exchange. Most Americans, probably don’t realize this, but in New York for example if you shop individual plans right now, the cost for an 18 year old male is the same as a 64 year old with diabetes and any other condition you can think of. And this premium is currently about $1000 per month for both the 18 and 65 year old, to get only average benefits. Under this new law, the only people buying health insurance will be people who have insurance now and everyone who has been declined. (though many of them will elect instead to pay the $695 penalty, I know I probably would) The rest will head towards Medicaid and to their employer where premiums will be incredibly high, and already are. The other nail in the proverbial coffin for health insurance brokers is the 80% rule, which simply states that 80% of premium must go to health care costs. This will eliminate most of the room to pay brokers even a reasonable commission after factoring in administrative costs. Sadly for us this law takes effect as soon as 2011, which will in effect either put us out of business right away or dramatically hurt our bottom line. What is strange is that the health insurance exchange doesn’t become law until much later, which means that most health insurance brokers will be forced out due to this 80% rule in the very near term, and some have already started. Finally and most importantly, young people and most of the uninsured right now for that matter, will not buy health insurance because the law only penalizes them $695 which is not even significant when compared to what premiums are and what they will become under this law. Editor’s Note: This article pertains to health insurance agents who sell individual health policies. Group health insurance producers will not be affected as quickly, but many will slowly disappear over the next 24 months. An uptick of panhandlers at every intersection may become apparent. Fri, October 29, 2010 12:09:57 PM Essential Viewing – We must Defend, Repeal and put an end to Obama care! This is absolutely essential viewing for every American!!! Subject: We must Defend, Repeal and put an end to Obama care! Watch this compelling explanation of what Obama care will really look like if put into practice. (2013) Dr. David Janda testified before Congress…Listen to what he was told by the folks in Congress. We have no idea of how insane this will be until it’s too late. ObamaCare Creates New Marketing Opportunities – Limited Benefit Plans Exempt From Government Regs. Do you have clients that cannot afford the state plan but yet cannot qualify for a major medical plan? Call Russ at Western Marketing for more info! Western Marketing has been given another opportunity with a national A-rated carrier on a GUARANTEED ACCEPTANCE HEALTH PLAN! 18% COMMISSION LEVEL FOR THE LIFE OF THE POLICY! Editor’s Note: Limited Benefit Plans do not have to comply with the onerous requirements mandated by ObamaCare. We are getting numerous email like the one above on a daily basis. This is an example of a free market offering competitive solutions. We are not endorsing this product, this is for general information only. Lubbock’s City Council unanimously approved a settlement agreement Thursday, ending part of a complex legal battle that dates back four years. In 2006, the council ended the city’s health insurance benefit administration contract with the Ted Parker group of companies. The Parker Group sued then-mayor David Miller and three senior city staffers, claiming defamation, amid questions about whether Parker and his companies profited beyond that contractual agreement. Earlier this year the Parker Group, now known as Healthsmart, dropped its suit for defamation and all other claims against the four defendants. The settlement agreement ends those defendants’ countersuit against the Parker Group for malicious prosecution and other claims. Mayor Tom Martin says the $850,000 the city gets out of this deal, together with a $500,000 settlement recently reached with the city’s legal liability insurer, recovers “virtually all” of the attorney fees the city spent in this part of the legal battle. The city is still in arbitration with the Parker Group in a dispute over records the city is seeking to conduct an audit. But those documents are apparently part of the settlement for the individuals’ countersuit. According to Healthsmart, Ted Parker is no longer involved in the day-to-day management of the companies. Effective December 1, 2010, Aetna will no longer be paying any compensation through our external broker distribution channel for new sales of the Aetna Individual Medicare Supplement Plans in the state of Texas. If you are currently licensed and appointed to sell our Individual Medicare Supplement Plans in Texas, you will receive a letter amendment modifying your Aetna Producer Agreement. What plans does this apply to? This applies to all Individual Medicare Supplement Plans sold in the state of Texas (Plans A, B, C, and F), including coverage for under-age 65 disabled individuals who qualify for Medicare, as well as for ages 65 and over. What is the effective date of the change? This applies to all policies with an effective date of December 1, 2010 and later. What if an application is in process? This will apply to all new business with effective dates of December 1, 2010 and later, even if applications have been submitted for processing. What will happen to the commissions due to renewal business? Producers will continue to receive the normal compensation for any Individual Medicare Supplement Plan sold in Texas with an effective date before December 1, 2010. Why is Aetna eliminating compensation paid to external producers? After carefully reviewing Aetna’s business results for the Individual Medicare Supplement Plans in Texas, we determined that a change in strategy was necessary at this time to remain competitive in this market. Aetna will continue to review our business results with the Individual Medicare Supplement product in the state of Texas to determine the best strategy to remain a strong competitor in that Individual Medicare Supplement market. If you have any additional questions, please contact the Aetna Medicare Broker Service Unit at (888) 247-1050. Med-Mal Down, Doctor Shortage Up? According to the Texas Medical Association, the 2003 tort reforms they pushed so hard for are paying off – for reals. That’s awesome. Just super duper. I mean, sure, it’s great that docs and their insurers can again afford Ferraris (yeah, I know they’re only schmoozing there, but, please: Do you think the Ferrari dealership opens its doors to, say, a public school teachers social? I think not) – especially considering the dire, dire predictions we were given back at the beginning of the decade about how doctors would be run out of business, and out of the state, because of high med-mal rates prompted by frivolous lawsuits. And to hear Gov. Rick Perry tout the tort reform package in his 2007 State of the State speech, it was the courageous reforms pushed through by lawmakers – that is, a package of measures that limit the ability of individuals to avail themselves of the legal process and to sue in cases of medical negligence – that have lowered med-mal costs and helped to recruit doctors to the state. Hmmm. That sounds super good, but is it true? Not at all, according to Texas Watch. For starters, the state still has the highest rate of uninsured residents, with nearly 25% of the population without any health insurance. And, moreover, according to the TMA, the state now ranks 42nd in the country for the number of doctors per capita; nearly half of all Texas counties do not meet the national standard for having 114 doctors per 3,500 people, according to Texas Watch. Yes, it is true, we’re still short on doctors. But how can this be, you ask? I thought tort reform was supposed to take care of everything? Apparently you thought wrong. Indeed, according to Dr. Gary Floyd, the chief medical officer for Fort Worth’s John Peter Smith Hospital, the real problem is that the state hasn’t created enough residencies for all the doctors educated in the state, in part with taxpayer money. If there aren’t enough residencies, he told the House Committee on County Affairs during a hearing held at the hospital, the doctors will go elsewhere to finish training and then will likely stay put in those places. And you know why there aren’t enough residencies? Frivolous lawsuits? No, no, we took care of those. The real problem, witnesses told the committee, is that Medicare and Medicaid funding caps have “forced” healthcare agencies to “freeze or scale back” residency programs, Floyd said. The TMA, reports the Fort Worth Star-Telegram, is expected to advocate during next year’s Lege session for an expansion of the number of residencies in the state. In other words, it appears now that tort reform wasn’t exactly the panacea we were led to believe. And it certainly didn’t create a rush of doctors flocking to, or staying in the state as we were led to believe it would. Well, crap. At least we still have the Ferraris. I’ll be saying this a lot because, you are an informed insider, and it is important as a reality-check in the coming weeks & months. Talk of repealing health reform is just talk. Not only is there the obstacle of Obama still President with a veto pen (thus requiring the numbers & determination of a 2/3 vote to override the veto), but opposition softened a bit as many conservatives and formerly-fierce opponents suddenly had their worry about getting their under-26 children covered, and those with pre-ex, and those blood tests and things that are the main health costs for most healthy people. They still oppose the concept…but getting used to goodies sways public and political opinion. So, this is a pre-election reality check that if Democrats & health reformers go down in flames next week, and the media is on over-drive discussing imminent repeal or big changes, it is unlikely to play out as predicted. That is the reason that these e-mails from me tend to focus on factors that might not seem directly related to TPAs, self-funding, and employee benefits. You need to understand the side issues which will probably trigger any significant changes. Looking further ahead, pundits will inevitably start pointing to after the 2012 Presidential election as the time of major repeal and change. However, by 2013, the health scene will have already changed considerably, and people will have gotten even more used to things they like (or are told they will like) . Besides, by raising expectations in 2010 for dramatic change which they are pre-doomed to not be able to achieve (not to mention the significant chance of a bloody civil war within the Republican party), by 2012, the Republican party may be seen by fed-up voters as the do-nothing party to be thrown out. So, don’t take the media’s simple predictions too seriously. Frankly, I think that the biggest changes in health reform will be where it crashes down from its own unworkable assumptions, such as some of the issues described below. The Washington Times recently had an excellent guest article walking through the early political strategy and missed opportunity of health reform. Health reformers could have gone after the real problem of US healthcare…..runaway costs. However, they soon realized that that would trigger massive opposition from doctors, hospitals, medical manufacturers, etc. (In politics, the “Dr. Welby” effect, named for the on-screen feeling generated by the kindly wise TV doctor, plus the comment from a Congressman that “All of us feel vulnerable, and want to be agreeable because we’ve been in a skimpy gown with our doctor or in a hospital” has always had a very strong effect not to upset the medical community.) Besides, it would be easier to sell health reform if the medical community were cheerleaders. So…instead, the focus/goal was set on making care more efficient (cutting billions of dollars of waste & abuse), and creating options for coverage, especially for people with high risk situations. On the over-use issue, Americans already go to the doctor less often, stay in hospitals fewer days, and pop fewer pills than people in other major industrialized countries (with government plans). So, we seem to be world leaders in not over-using. The problem in the US is that each of those fewer medical interactions costs much more than in other countries. But to solve that problem would be to upset the medical folks and unleash their political opposition. Reformers should have known that the desire for coverage, especially for children and pre-ex situations was more emotional than real. The S-Chip program for children was already failing to attract anywhere near the expected number of eligible children. Pre-ex “discrimination” was a major topic reformers used to bludgeon “evil” insurers ad employee benefit plans. Health Reform funded a temporary pre-ex program for states. Those government-assisted pre-ex plans are getting embarrassingly few sign-ups. Why aren’t the millions of Americans supposedly craving for access to such a plan rushing to sign up? Plans for high-risk and pre-ex is actuarially expected to be expensive, even with state & federal dollars to subsidize. However, states & Uncle Sam are discovering that when Americans say they want “coverage” (and this applies to S-chip, under-26 children, and will apply to many aspects of health reform), they expect FREE or extremely cheap. A recent survey found that the majority of Americans think that the state exchanges in 2014 will be free or super-cheap bargains. When it comes to health care, the national motto is Something for Nothing. This unrealistic expectation is going to undermine many parts of health reform. So what to do about the dud pre-ex programs?? The government pre-ex programs are going to spend more millions of dollars to hire professional marketing/PR firms and advertising to lure pre-ex people into the plans that the politicians said they had desperately wanted. EHR (also known as Electronic Medical Record or EMR) is mandated by the Stimulus to be in place by 2014. An IT trade group, CompTIA gives a snapshot status report: Half of providers are using some form of EHR/EMR. 34% are fully using EHR/EMR. 16% partial usage. 20% evaluating the concept. 9% not yet thought about it. Most of us have heard or assumed that HIPAA privacy & security were the providers’ main concerns, and there have been some reports that providers are uncomfortable having such a handy comprehensive record, because it invites fishing by attorneys for malpractice cases. However, the CompTIA survey reports that providers feel that it seems impersonal in the doctor/patient relationship. Also, 80% of doctors say that EHR/EMR users need more training in the technology. Unwillingness to spend has also been a recurring theme when technology is mentioned to providers (the reason so few providers invested the money to get up to speed with EDI, when payers were required by law to do). However, 1/3 of health care practices reported that they expect to increase their IT spending more than 5% next year. The Federal Employee Health Plan (FEHP) is often used by politicians as the gold standard of what employee benefits should be. For 2011, they are expecting a 7.2% increase (8.8% in 2010). By comparison, recent surveys have estimated that private health plans expect about 8.8% increase for 2011. After going around and around with the Department of Health & Human Services, a long-haul trucking firm client of ours finally received their Approved Waiver today. You will notice it is a FORM LETTER that does not indicate the name of the employer or reference a file number. This has been a most interesting experience. First, the clerk at the Office of Oversight admitted to the HR Director of the trucking firm that he was new to the job, had no desk assigned to him and did not even have an email address. His first response to the request was virtually incomprehensible (see prior posting). Then, in another email (yes, he was finally assigned a government email address) he stated that the annual benefit requested by the trucking firm, which was $50,000, could “not be less than $50,000.” So, he insisted that the plan have an annual maximum of $50,001 so that it would comply. Fortunately for this employer his Application for Waiver was approved. The owner looks forward to going through the same process again next year. Washington–The U.S. Department of Health and Human Services has released information on their website which contains the application employers must use to apply for reimbursement of claims incurred by enrollees in early retiree health care plans. The government will reimburse employers for a portion of health care claims incurred by retirees who are at least age 55 but not eligible for Medicare as well as by retirees’ covered dependents regardless of age. The Early Retiree Reimbursement Program, or ERRP, requires that participants in an early retiree plans incur a minimum of $15,000 in health care claims in a plan year and the government will reimburse the plan sponsor for 80% of claims up to $90,000. The reimbursement only applies to claims incurred June 1 or later. Applications and additional information is available at www.hhs.gov/ociio/regulations/index.html#early_retiree and at www.errp.gov. The El Paso Independent School District voted to discontinue their self-funded employee health insurance program effective January 1, 2011. Citing more competitive cost, the Board of Trustees approved the change last month. Crest Benefits provided insurance consulting services for the district and was involved with the analysis and decision to make the change. The current reserve funds of the EISD self-funded program, approximately $2 million, will be moved to general funds. The EISD will continue to fund their on-site medical clinics through 2011, at the cost of $10 per employee per month. The district currently employs in excess of 8,500 employees. IronHealth, the specialty healthcare unit of Ironshore Inc., has developed a insurance program to address the risk exposure created by the specific reporting requirements of Section 111 of the Medicare, Medicaid and SCHIP Extension Act of 2007 (MMSEA). IronHealth’s new Medicare Reporting and Secondary Payer Act Liability (MRSPAL) policy protects against the risk and subsequent penalties from failing to file, or from negligent filing, under Section 111 of the MMSEA or under the Medicare Secondary Payer Act (MSPA). Underwriting support and claims management services for the product will be provided by IronHealth and MGU Specialty Risk Services, Inc. (MGU), a Tampa, Florida company which focuses exclusively on federally-mandated reporting obligations. This product will be available on an open brokerage basis. Section 111 of the MMSEA imposes requirements for reporting all payments involving Medicare beneficiaries under liability insurance – including self insurance, no-fault and Workers’ Compensation – to the Centers for Medicare and Medicaid Services. Responsible Reporting Entities (RREs) are obligated to report any liability payments or settlements made to Medicare/Medicaid recipients, thereby enabling the government to recoup amounts advanced for covered medical services and treatments in a timely manner. A Texas hospital system has blinked. The stare down began last month when the hospital system unilaterally decided to refuse to recognized as health insurance the group health policies in place with over 50 Texas employers. The policies in question are plans that reimburse hospitals their cost plus a 12% profit margin. This was not enough for this hospital system. They are listed by Forbes recently as in the top 25 most profitable hospitals systems in the United States. A cat-scan on an outpatient basis at one of their facilities was charged to one of the employer groups for over $12,000. Cost as reported to CMS by this same hospital showed that the actual cost was less than $300. The plan paid the hospital Medicare plus 20% , or about $900. This triggered the decision by this billion dollar health care giant to demand cash up front at full billed charges for those patients insured under a cost-plus plan. Employers became incensed. The threat of publicity, lawsuits, legislative intervention may have influenced the hospital system to finally agree to a meeting (after refusing or ignoring the request for a meeting for weeks prior). A competing hospital system got wind of the controversey and is currently in negotiations with cost-plus groups to access their facilities based on a cost that is fair, reasonable, and transparent. Reporters are aware, sensing a sensational expose that will surely increase circulation. The public may be outraged to learn the truth. Editor’s Note: We have never seen employers become so engaged with the health care delivery system as in this case. They are unanimous in their anger at the perceived blackmail threat and heavy handed tactics employed by this health care “monster.” Some are so angry they want to call a press conference sooner than later, and file lawsuits. Calmer minds rule the day for now. Lubbock’s City Council chose Saturday to let a more than two-year legal battle run a little longer. The council will consider a settlement on countersuits to a 2008 defamation case filed by a former third-party health insurance administrator next week after meeting for 80 minutes behind closed doors and then taking no action on the matter at a special afternoon meeting. “Being that settlement negotiations are still ongoing, settlement litigation is pending, I would not recommend any action today,” City Attorney Sam Medina advised in open session before Mayor Tom Martin adjourned the meeting. The long-running fight with ICON Benefits Administrators and American Administrative Group — companies under an umbrella once called the Parker Group — could instead end Thursday. The council will include the issue in its agenda for a Thursday morning meeting. Medina would not comment on how far the two parties were from agreement or whether he believed there would be a settlement next week. “That’s an almost impossible question to answer,” he said. A listed media representative for the benefits group, now called HealthSmart, has not returned phone calls from The Avalanche-Journal. A jury trial in Dallas had been set for early November. ICON and later AAG provided health insurance administration from 2004 to 2006 until questions about improper fees and commissions led the city to drop the companies. City officials alleged the companies kept rebate money from a mail-in pharmacy provider and attached fees to prescriptions the pharmacy filled, charged the full cost for procedures that had a negotiated discount and charged unapproved commissions for certain coverage. AAG management argued Lubbock improperly moved the business to a new provider, Blue Cross Blue Shield, and that city administrators defamed the companies in the process. City Manager Lee Ann Dumbauld called the group “crooks, thieves and liars” and warned they could not be trusted, damaging their business, the companies alleged in a lawsuit. The companies dropped the defamation lawsuits against Dumbauld, former Mayor David Miller and two other employees last spring, but the countersuits remained as the city sought money to cover legal expenses and an audit. A separate arbitration process over the financial questions raised in the fallout was not a part of the settlement talks, Medina said. “Two totally separate cases,” he said. WASHINGTON — The new health care law wasn’t supposed to undercut employer plans that have provided most people in the U.S. with coverage for generations. While it’s too early to proclaim the demise of job-based coverage, corporate number crunchers are looking at options that could lead to major changes. “The economics of dropping existing coverage is about to become very attractive to many employers, both public and private,” said Gov. Phil Bredesen, D-Tenn.
That’s just not going to happen, White House officials say. “The absolute certainty about the Affordable Care Act is that for many, many employers who cover millions of people, it increases the incentives for them to offer coverage,” said Jason Furman, an economic adviser to President Obama. But at least one major employer has shifted a greater share of plan costs to workers, and others are weighing the pros and cons of eventually forcing employees to strike out on their own. “I don’t think you are going to hear anybody publicly say ‘We’ve made a decision to drop insurance,’ ” said Paul Keckley, executive director of the Deloitte Center for Health Solutions. “What we are hearing in our meetings is, ‘We don’t want to be the first one to drop benefits, but we would be the fast second.’ We are hearing that a lot.” Deloitte is a major accounting and consulting firm. When lawmakers debated the legislation, the nonpartisan Congressional Budget Office projected it would only have minimal impact on employer plans. LUBBOCK, TX (KCBD) – In a rare Saturday special session, Lubbock City Council is scheduled to vote on a proposed settlement with businessman Ted Parker. In order to meet Saturday, the City Council had to have posted public notice of the meeting no later than 1:30 PM on Wednesday. KCBD NewsChannel 11 discovered the special meeting notice after hours. Parker was in charge of ICON/AAG which was the city’s health insurance administrator from 2004 through 2006. In 2007 the city sued Parker’s company, and accused him of not allowing an audit, which he was contractually obligated to do. At the time, former Mayor David Miller said that AAG might owe Lubbock $200,000. As time went on the claim got bigger until Miller said publicly that Parker owes the citizens of Lubbock $12 million, which Parker denies. Parker also claims that the city wanted trade secrets as part of its audit, which he was not willing to disclose. Parker filed a separate lawsuit in Dallas County against four city officials, including Miller, saying their statements were false. Miller, City Manager Lee Ann Dumbauld, Assistant City Manager Scott Snider, and Risk Management Director Leisa Hutcheson counter-sued Parker in Dallas County at City of Lubbock expense. The city also sued Covenant Health System seeking records pertaining to Parker’s Company. Meanwhile, the city’s liability insurance company sued Lubbock in an effort to not pay any claims from the other Parker lawsuits. The Covenant lawsuit is still pending and the city is in the process of settling out of court with the liability insurance company. Only adding intrigue to the all-out war-of-words and series of legal dramas, the FBI raided Lubbock City Hall in May of 2008, confiscating health insurance records. To date, no charges have ever been filed. Parker dropped his Dallas County lawsuit in May. But Miller, Dumbauld, Snider, and Hutcheson continued their counter-suit at City Of Lubbock expense even though, if successful, they would be legally entitled to any award instead of the city. Only one Councilman, Paul R. Beane, voted no to this arrangement. Some of the legal expenses paid by the city for Miller, Dumbauld, Snider and Hutcheson include items such as beer & oysters, steak dinners, and filet mignon. Just on the Dallas County lawsuit alone, the city has spent $1.8 million in legal expenses. As for the settlement to be considered on Saturday, public records do not yet reflect details. Look for a follow up Thursday on KCBD.com and KCBD NewsChannel 11 at 5 & 6. End Of An Era? Will Health Insurance Companies Stay In The Business? U.S. state insurance commissioners unanimously backed tough rules requiring health insurance companies to direct more of the premiums they collect to medical care, rather than corporate salaries and profits. Although the percentages are mandated in the new healthcare law, insurers including Aetna Inc. and WellPoint Inc. sought looser definitions of some spending, arguing changes were needed for them to stay competitive. In a final vote on the recommendations, called for under the new law, the National Association of Insurance Commissioners (NAIC) on Thursday rejected most of the insurance industry’s requests. NAIC’s proposal moves early next week to the Department of Health and Human Services, which will decide whether to adopt the proposals as regulation or first make changes. By law, the changes must take effect by Jan. 1. Consumer advocates and Democratic lawmakers had argued for strict limits on the industry, which has come under fire for rising rates and denial of coverage. Under the law passed in March, large group health plans must allocate at least 85 cents per premium dollar to medical care, not administrative costs or profit. Plans for individuals or small groups must spend 80 cents per dollar. Such spending ratios, known as a medical-loss ratio, or MLR, have been closely watched by Wall Street as a sign of potential profitability. Under the law, customers could see rebates if insurers spend less than required on care. “This is placing on them some pretty stringent requirements,” Kansas Insurance Commissioner Sandy Praeger, head of a NAIC working committee, said of insurers. The goal is to ensure that when individuals or employers buy coverage “that a good portion of that premium dollar goes to medical activities and is not just being used to enhance profits or enhance large salaries,” she told reporters. Insurers argue that the restrictions will handicap smaller companies with limited resources or hit others with plans for small groups or individuals that can be expensive to operate. “The current MLR proposal will reduce competition, disrupt coverage, and threaten patients’ access to health plans’ quality improvement services,” America’s Health Insurance Plans President and Chief Executive Karen Ignagni said. NAIC did allow insurers to deduct most taxes in calculating spending, an industry win that Democrats had fought. But it rejected insurers’ pleas to measure spending ratios on a nationwide basis, sticking with state-by-state calculations. U.S. Health Secretary Kathleen Sebelius has said the agency would like to move on the regulations this month, although some analysts do not expect action until November. Editor’s Note: Health insurance brokers will soon (very soon) join the ranks of unemployed, lamenting with door-to-door encyclopedia salesmen. Gone will be the day of making $250,000 per year on a 400 life group, or $35,000 per year on a small 65 life case. Company group sales reps. will morph into service reps with reduced pay. Why Doesn’t Brownsville ISD Join The TRS ActiveCare Plan? The Texas legislature passed HB 3343 in 2001 establishing a special risk pool for Texas school districts called TRS ActiveCare . The pool was established in 2001 for the purpose of providing health insurance for employees of participating districts. There are 1,257 Texas school districts that are eligible to join the program. Currently, approximately 87% have elected to join the TRS ActiveCare program, insuring over 398,000 Texans and their families. Since the program originated, premium rates have remained stable, with minimal or no rate increases over the past 8 years. The economies of scale, and the bargaining power of large numbers, can be attributed to outstanding underwriting results. The TRS ActiveCare program is a self-funded trust, with operating costs well below industry average. Gone are agent commissions (usually 5% or more), stop loss premiums (stop loss insurance not needed on such a large group), and other costs normally associated with a group medical plan like the current program at the Brownsville Independent School District. Several years ago we were hired by the Robstown Independent School District to review, and make recommendations on their self-funded group medical plan. There were striking similarities between Robstown ISD and Brownsville ISD. The Robstown Board of Trustees was split with neither side seeing eye to eye on issues before them. Politics had a paralyzing effect on the district. Their self-funded health plan was on a path to total destruction. Poor management and spiriling claims coupled with poor advice and guidance was leading the district to financial ruin. We recommended that the district discontinue their self-funded program and join the TRS ActiveCare plan. We advised them that a move to the TRS ActiveCare “safe harbor” would benefit the district in more ways than one. Costs would become budgetable, benefits would be essentially the same or better, and politics would be removed completely. A move to TRS, we explained, would leave the district to do what they did best, educate the children without the distraction, politics and financial hazards associated with their self-funded health plan. Robstown Independent School District joined the TRS ActiveCare Plan. That was an appropriate move for them. It may be beneficial for the Brownsville Independent School District to consider the same move. Other districts of similar size have opted to do so, including Dallas ISD, Ft. Worth ISD, Lewisville ISD, Richardson ISD, Spring Branch ISD, Victoria ISD, El Paso ISD and many others. A quick calculation of the TRS ActiveCare premiums, applied to current enrollment at the BISD, indicates an annual savings of over $17,000,000.00 (+$17 million). This is a significant savings in our opinion. Gone would be agent commissions, PPO network disputes, potential costly lawsuits, expensive consulting fees, stop loss claim issues (lasering, etc), need to bid every year, insurance committee, political in-fighting among board members, administration, insurance committee, legal fees, Open Record Requests, and teacher uniions. But the hurdles before the BISD Board of Trustees to make the move to TRS ActiveCare are enormous. Too many vested interests are in play. The $50,000,000 BISD self-funded honey pot would be jeopardized. Teacher unions would be against the move – they would lose influence over benefit decisions and provide less value to their members. Local medical providers may protest as well – they may have less bargaining power with a giant like Blue Cross which administers the TRS plan. Less bargaining power usually equates to less income. Insurance agents would protest too. And, insurance consultants would probably advise against such a move – after all, a client that moves to the TRS plan would have no further need for an insurance consultant. So our question to the BISD is – has the district ever considered a move to the TRS ActiveCare plan? Has an evaluation of the potential merits of joining TRS ever been performed? If so, what were the results? We think that it may be time for the Brownsville Independent School District to join the TRS ActiveCare plan. Today Congress passed the American Business Act. Hailing the passage of the Bill as “long overdue”, President Obama signed the bill into law in the Rose Garden. The American Business Act prohibits business from operating on more than a 15% margin. Retention and retained profits cannot exceed this threshold. Investment income is to be counted towards the margin. Failure to maintain retention and profits at 15% or below will require business to refund the difference back to their customers. Consumer groups are ecstatic. “Now greedy business owners will not be able to profit off the backs of the working man” said Monford Cornelius, an unemployed health insurance agent from Des Plaines. “This bill is simply an extenstion of the Health Care Bill” noted President Obama. “We did it to insurance companies, so now we are doing it to all business. It’s the only fair thing to do, it is a natural progression of our New American Agenda” he continued. Editor’s Note: Don Pedro brought this to our attention this afternoon after returing from an all night poker tournament in Southmost. “It’s true, I saw it with my own eyes” he protested as we questioned his sources. And out he went. PHARR — City officials are working to determine whether a multi-million dollar health insurance contract it approved earlier this summer without soliciting bids or proposals was legal. The City Commission approved an insurance contract May 24 for city employees with Blue Cross/Blue Shield of Texas, marking the second time the city had renewed its contract with the insurer. But a week after the commission unanimously approved the deal, City Attorney Michael Pruneda sent a memo to the commission questioning the legality of the deal and recommending that the city seek bids or proposals for the contract. Under state law, cities must solicit bids or proposals for expenditures exceeding $25,000. While there are certain exemptions to that rule — such as expenditures made during emergencies or purchasing items available from only one source — health insurance does not fall into any of those categories, Pruneda wrote in his memo. Despite the memo, City Manager Fred Sandoval sent a letter July 9to Blue Cross/Blue Shield of Texas saying the city would renew its insurance plan. Pruneda and Sandoval both told The Monitor Pruneda’s legal opinion was based on the best information available at the time, but the opinion could change since new information has come to light. Pruneda said he is continuing to review the deal and determine whether a renewal clause in the original contract would have permitted the commission to re-approve the contract without seeking bids or proposals. Pruneda said he still does not have all the facts about the deal, but he is close to getting the answers he wants. City Commissioner Raul Gonzalez said his vote to approve the contract was based on the condition that the deal would receive a favorable legal review from Pruneda. Gonzalez said he received Pruneda’s original memo and has seen nothing since then that would contradict it, which raises questions in his mind. Former finance director Ruben Luna, who was fired from his job earlier this summer, also discussed the insurance contract in a letter he sent to the city appealing to be reinstated. In his letter, he said he tried to get a legal opinion on the matter from the Texas Municipal League, an organization that serves the state’s municipalities. Luna wrote that TML told him over the phone it appeared Pharr needed to advertise for proposals but city officials discouraged him from getting that opinion in writing. Both Sandoval and Ricardo Navarro, an attorney handling Luna’s case for the city, declined to comment on Luna’s allegations, citing pending litigation. are matters that I take very seriously,” Luna wrote in his letter. Ryan Holeywell covers PSJA and general assignments for The Monitor. He can be reached at (956) 683-4446. Editor’s Note: Molly Mulebriar reports that purported insurance commissions in excess of $100,000 may be at stake here. Rumors abound that the city was aghast at learning the amount they were paying in agent commissions and now want to cut the agent out of the deal. Mulebriar cannot confirm any of this other than an unsolicited phone call she received this afternoon from a formerly very reliable source. The AMA laid itself on the line and gave the appearance in the crucial legislative days that all doctors supported health reform. Many doctors personally disagreed with health reform, but AMA’s & doctors’ #1 priority (and payback for giving support) was to undo the 1997 health reform (much ballyhooed at the time as the savior or Medicare) which would impose cuts on Medicare payments to doctors. The House, Senate & White House left the “doc fix” out of the law, and pretty much jerked around doctors efforts to get the “fix” (repeal the cuts) in following months. They got a reprieve until just after the 2010 elections. It now appears that because of deficit fears, Congress (presumably the lame duck session) will proceed with the 1997 cuts as of 1/1/11, but cut the docs’ payments only 15% instead of the 26%, and that cuts will continue into the future as envisioned in the 1997 health reform law. In a last gasp, AMA is hoping to make the cuts 10% and have Congress allow doctors to balance bill patients. As I have predicted before, this slap in the face (and pocket) to doctors coincides with the annual time for doctors to say if they will serve Medicare patients next year, and also a major generational shift of many doctors retiring, it is a pretty scary prospect for a guy like me facing Medicare in a couple of years. Editor’s Note: This is an excerpt of Fred Hunt’s weekly missive issued today. Yesterday the NYTimes reported the Justice Department is suing Blue Cross Blue Shield of Michigan for allegedly violating antitrust laws. BCBSMI is accused of requiring hospitals to give BCBSMI ‘most favored nation’ pricing, thereby increasing the prices paid by other health plans and stifling competition. The lawsuit also claims that Blue Cross agreed to pay higher prices to certain hospitals to get them to agree to the “most favored nation” clauses. There are three issues here that deserve your attention. First, there is no ‘free market’ in health insurance. Most markets are dominated by a single, or at most two, health plans. This is clearly an effort by the Feds to make a statement, to force big health plans and their co-operating health systems and hospital groups to back off and ‘let’ smaller insurers into the market. No one, least of all big insurance companies, likes to be sued by the Federal government, and this very public case has undoubtedly started many health plan legal departments scrambling to prepare briefs for their CEOs detailing their potential liability for the same ‘offenses’. As a corollary, smaller health plans cannot compete with the big boys because they don’t have the medical dollars required for bargaining purposes. Why would St Tony’s Hospital give a big discount to Mom and Pop’s Health Plan? The answer is simple – they wouldn’t, because they don’t have to – Mom and Pop don’t have any patient dollars that they would (potentially) move to another hospital, so there’s no reason for St Tony to do a deal. The suit is apparently an effort by the Feds to address this reality, and may well be part of a larger strategy to improve competition ahead of implementing health reform. Second, many health plans and insurers have most favored nation clauses in their contracts – workers comp payers too. This suit may – and most certainly should – encourage those payers to reconsider the purpose of and risk in those clauses. Finally, this highlights the symbiotic payer – provider relationship that is the fabric of our current health system – dominant health plans and dominant health systems working very closely together. If we as a society decide this isn’t the health system we want, than we’re going to have to get very litigious for a very long time. It has taken a century for the system to evolve to this point, and will take decades for any material change. In some instances this works very, very well – think Geisinger, Mayo, Marshfield. In others, it may well ‘stifle competition’ But lets get serious – how effectively could a newcomer, or even a second tier health plan, really compete without the huge dollars necessary for investments in IT; care management; provider contracting, analysis, and relations; marketing and brand development; and distribution? It couldn’t, and it can’t. Like it or not, competing in health insurance, as in many industries, puts a premium on size and scale. We can already see this, as smaller health plans are being snapped up by bigger competitors, their management all-too-clearly reading the writing on the wall that survival in the post-reform world will require size, and scale, and money far beyond the grasp of most smaller health plans. Note – A subsidiary of BCBSMI is a consulting client of HSA. While I have no knowledge that in any way pertains to this action, I do know that as an organization BCBSMI is quite sensitive to and cautious about any actions that might be construed to harm competition or interfere in provider practice. Editor’s Note: This article was written by Joe Paduda. WASHINGTON – The Justice Department alleged Monday in a lawsuit that Michigan Blue Cross Blue Shield is discouraging competition by engaging in practices that raise hospital prices, conduct an assistant attorney general vowed to challenge anywhere else it is found in the United States. The suit targets “most favored nation” clauses between Michigan Blue Cross Blue Shield and health care providers which, according to the government, essentially guarantee that no competing health care plan can obtain a better rate. “As a result, consumers in Michigan are paying more for their health care services and health insurance,” Assistant Attorney General Christine Varney, who runs the Justice Department’s antitrust division, told reporters. “Our hospital discounts are a vital part of our statutory mission to provide Michigan residents with statewide access to health care at a reasonable cost,” the company said. In some instances, the lawsuit states, Blue Cross has negotiated most-favored-nation clauses in exchange for increases in the prices it pays for the hospital’s services. In those instances, says the suit, Blue Cross has bought protection from competition by causing hospitals to raise the minimum prices they can charge to Blue Cross competitors. “Blue Cross has not sought or used MFN’s to lower its own cost of obtaining hospital services,” says the lawsuit. In alleging violations of the Sherman Act and the Michigan Antitrust Reform Act, the government said that under the “MFN-plus” clause, Blue Cross negotiated agreements requiring 22 hospitals to charge some or all other commercial insurers more than the hospital charges Blue Cross. Under the other clause, Blue Cross has agreements requiring more than 40 small, community hospitals to charge other commercial health insurers at least as much as they charge Blue Cross. Editor’s Note: This is a significant event. Much like getting the blueprint of the Egnigma Machine in 1943. Good news for Brownsville taxpayers! It appears that the local medical community has “gifted” $6.8 million to the Brownsville Independent School District through lower medical fees. Or did they? In the October 17 issue of the Brownsville Herald, it was reported that MAA officials told the district’s insurance committee to expect a “savings of $6.8 million” this year over last year. MAA acquired the BISD account last year. The prior third party administrator was HealthSmart. Does this sound too good to be true? Why would medical care providers lower their fees and give up $6.8 million in a year’s time? Are area physicians driving volkswagons these days? Are hospital administrators moving to low rent apartments? Most people have come to understand that medical prices are constantly increasing, not decreasing. Or, could it be that the conclusion is based on inaccuracies or flawed methodologies upon which the projection was performed? Or, is BISD simply have a good year? Or a combination of these possibilities? One of the biggest flaws in a PPO network evaluation process is that many use an evaluation model that are based on historical data (usually 12-36 months). They use a retrospective review of network pricing, factoring in those savings levels onto future cost projections. A network evaluation based on retrospective information, with no adjustments made for significant contract or rate changes, becomes irrelevant and is not a valid indicator of what a group like the BISD will actually save by moving to another network. For example, when consumers prepare to buy a new television, do they make their buying decision by looking at the price for each television from 2 years ago? Of course not. PPO contracts contain “escalator” clauses that give medical providers a “raise” every twelve months. So every month, some 1/12th of all providers get a pay raise, a never ending cycle. Neither HealthSmart PPO or Texas True Choice have a predominant market share over the other in the lower Rio Grande Valley. Both of these “rental” networks have pretty much the same providers on their PPO listing. The overall aggregate pricing differential, in our opinion, is just about 1%. We have developed credible data that we believe proves this. In our opinion there is no compelling argument that would conclude that medical providers in our community would agree to significantly better pricing with one rental network over another. Only the medical community knows the truth, and they are keeping quiet (for now). Editor’s Note: “How do we know we are doing much better this year than last year?” asked Don Pedro. “What was this year is last year plus or minus this year’s change,” replied the expert. “If change is the only constant why do we need to measure it? You dont know if something is better if you didnt know how to measure what it was before” countered Don Pedro. And out he went. Did You Read The Contract? Then Why Did You Sign It? Editor’s Note: Mulebriar has spend hours reviewing material obtained from the BISD through several Open Records Requests. The documentation raises questions about the current BISD program. Cross referencing documents produces descrepancies of note in our opinion. The Board of Trustees would be wise to hire an independent outside auditor (again) – this time to investigate the current program’s financials and contracts. We feel they have a fiduciary responsibility to do so. A South Texas long haul trucking firm’s request (http://blog.riskmanagers.us/?p=3900) to keep their existing employee health care plan has been rejected (for now) by an Obamacrat in Washington – HHS Waiver Response. This well written, cogent response sheds focus on literacy skills of government bureaucrats. Are you tired of worrying about what health care reform will do to your business? We can help! Our defined benefit plans are exempt from the new regulations. Guarantee issued, group size as low as 2, and you don’t have to worry about MLR issues. Your client can even name their own price, and we will configure benefits to match their budget. Please visit us at TMed Plus. Editor’s Note: Mini-Med plans are popular with certain employers, like McDonalds. Under ObamaCare, these plans must meet certain requirements, such as increased plan limits. Many cannot afford the cost of a comprehensive health plan. A defined benefit plan, like the one above, accomplishes the same thing as mini-med plans but are exempt from the long reach of government Obamacrates. At least that is the claim made by the TMed Plus Plan. Answer: A significant effect. Overall “discounts” would be lower in the aggregate. Hospital contracts contain “outliers.” What does that mean? It means that when a claim exceeds a certain pre-set level, the entire claim all the way back to dollar one is discounted by as little as 20% off billed charges. Gone are the better “discounts” such as per diems, global pricing, etc. To our knowledge, there is not one PPO contract currently in place in the Brownsville medical community that has an “outlier” higher than $100,000. So, if the average PPO “discount” for the group is 62% excluding claims that are subject to the outlier, what effect will 24% of total claims subject to an outlier have on the overall “discount?” Would it be less, or more? So, if PPO “discounts” decrease from one year to the next, could it be due to 24% of claims being discounted less? Or could higher costs charged by local health care providers who dont publish their prices, and dont reveal their pricing agreements with PPO networks, cause costs to increase as well? Or a combination of both? Editor’s Note: Discounts mean nothing. HealthSmart is proud to announce that Adam Stadler has joined their sales staff and will primarily concentrate on enhancing the company’s market presence in North Texas. Adam has over 7 years of experience in managed healthcare sales and implementing benefit plans. He has proven experience in developing new business relationships and executing successful cross-sell initiatives by working closely with account executives. (PRWEB) October 14, 2010 — HealthSmart is proud to announce that Adam Stadler has joined their sales staff and will primarily concentrate on enhancing the company’s market presence in North Texas. Adam has over 7 years of experience in managed healthcare sales and implementing benefit plans. He has proven experience in developing new business relationships and executing successful cross-sell initiatives by working closely with account executives. While many managed care companies are downsizing due to the recent federal legislation on healthcare reform, HealthSmart has seen a historic increase in business. The last quarter of 2010 looks to be the company’s most successful in regards to the number of sales because of the unique HealthSmart Insight product, featuring a completely integrated solution for self-funded benefit plans. Mr. Stadler will initially concentrate on selling Insight and HealthSmart’s Hospital Partnership Program which focuses on clinical integration and performance. Both managed care products are administered on a single platform designed to reduce the cost of ever-increasing medical trend. Mr. Stadler’s career has included a sales position with Holmes Murphey & Associates and national account management with Aetna, Inc. He received his BA in Marketing at TCU and spent a summer in Köln, Germany studying international business with an emphasis in marketing, management, finance and accounting. Alex Arnet, Chief Sales Officer said, “Adam will be a truly valued addition to HealthSmart’s sales team in North Texas where the Company has made a strong commitment to growth. He has a great opportunity to help expand our reach due to recently completed Accel Network contracts with most of the area’s influential hospitals and providers.” HealthSmart Accel is the Company’s top tier network with the best rates currently available and unbeatable benefits for employers, their members and providers. HealthSmart is a managed healthcare benefit solutions company serving more than 1.85 million members and managing more than $3.5 billion in claims through service operations around the country. The Company’s wholly-owned healthcare related subsidiaries include employee benefit administration, nationwide primary and secondary provider networks, full service predictive population management, wellness programs, prescription benefit management, on-site primary care clinics and stop-loss management all on a single administrative platform. HealthSmart’s mission is to improve member health, reduce costs and deliver “smarter” healthcare solutions. What Next – Universal Retirement Plan? For 16 years I’ve been telling you that if the Democrats gained enough power in Washington, they would attempt to seize the money you have in your 401K, IRA and private pension plans. Many of you poo-pooed me, calling me “over-the-top” or unable to back up my claims. Maybe you might be interested in knowing that just last Thursday, a Senate Health, Education, Labor and Pensions Committee held a hearing on retirement savings and security. WebGuy forwarded me lots of emails of people asking me to prove it. So here you go. You can watch the committee meeting right here … and then you can be more entertained by turning to watch the paint dry on your walls. Or you can read this summary of the meeting from Connie Hair at Human events. The point of the meeting was to figure out ways in which private 401(k) plans could be more “fairly” distributed as taxpayer-funded pensions. Senator Tom Harkin, Chairman of the Committee, hand-picked the witnesses for the meeting. Who did he chose? People advocating “Guaranteed Retirement Accounts.” Sound familiar? It should. I’ve been telling you about this plan for at least two years. The Democrats got their “universal healthcare.” What’s to make you think that they wouldn’t go for “universal retirement” next? This isn’t some fairytale that I am making up to scare you right before an election. This stuff is actually being discussed in Washington as we speak. If you leave the Democrats in power I guarantee you that a move will be made to seize private retirement accounts. Those accounts will blended in some way with the Social Security system to guarantee some level of retirement income for every American. The Democrats will have several excuses. They’ll say that they’re afraid people will just take their retirement money and spend it foolishly … and that the government must step in to prevent this. They’ll say that people will borrow irresponsibly against their retirement funds prior to retirement … and the government must step in to prevent this. They’ll say that it just isn’t “fair” that some people are going to enjoy a more comfortable retirement than others .. and the government is here to make things more fair. Whatever the reason, the Democrats will be unable to ignore the trillions of dollars that are sitting – out of their grasp – in these retirement accounts. Brace yourselves. You have 21 days. This month, McDonald’s warned that the health-care reform law passed in March could force it to drop health coverage for some 30,000 workers. A few days later, 3M announced that starting in 2013 it will no longer provide health-insurance coverage to its retirees. That came on the heels of a decision by Harvard Pilgrim, Massachusetts’ second-largest insurer, to drop its Medicare Advantage health-insurance program at year’s end, forcing 22,000 senior citizens in Massachusetts, New Hampshire and Maine back into traditional Medicare. Then there’s the Principal Financial Group, which recently decided it was getting out of the health-insurance business. Roughly 840,000 people will likely lose their insurance as a result. During the debate over health-care reform, President Obama told us nearly every day that if you had health insurance now and were satisfied with it, you’d be able to keep it. It should be clear by now that that statement was, well, less than accurate. In fact, it’s becoming harder to find anyone who can keep their current insurance. As is well known by now, the health-care reform law con tains both an individual and an employer mandate. By 2014, employers with 50 or more workers must provide insurance or pay a fine. Individuals who don’t get insurance through work or a government program must buy it on their own or they, too, will be fined. And not just any insurance will do: To qualify, a policy must meet a host of new regulatory requirements and offer a minimum, government-devised, set of benefits. It now looks like the secretary of Health and Human Services will grant McDonald’s a waiver, so those 30,000 workers won’t lose out thanks to ObamaCare. If so, the company will join the teachers unions and other politically connected winners of exemptions. But other businesses that offer limited-benefit plans known as “mini-meds” may not be so lucky. Those plans have cheaper premiums because they, among other things, restrict the number of covered doctor visits or impose a maximum on insurance payouts in a year. They are particularly popular with part-time, seasonal and low-wage workers in the restaurant and retail industries. But ObamaCare’s new regulations will all but eliminate those plans, so more than a million of those vulnerable workers will likely lose their current insurance. Some could be forced into Medicaid, while others will have to buy much pricier policies than they have today. It may or may not be true that such plans are “crappy,” as Jonathan Cohn of The New Republic put it in defending ObamaCare. (A lot of McDonald’s employees may think they are better than nothing.) But the point is that, contrary to the Obama administration’s repeated promises, those workers won’t, in fact, be able to stick with their current insurance. Even more extensive health plans may fail to meet the law’s requirements. An internal Health and Human Services Department study estimates that more than two-thirds of companies could be forced to change their coverage. For small firms, the total could reach 80 percent. Meeting the new requirements will likely drive up what many businesses pay for insurance. If they drive those costs high enough, companies may decide it’s cheaper to drop coverage and pay the penalty. In fact, a number of large companies — including Verizon, AT&T, Caterpillar and John Deere — are reportedly considering such a move. The math is fairly simple: AT&T, for example, paid $2.4 billion last year in medical costs for its 283,000 workers. If it dropped insurance and instead paid the penalty, $2,000 per year for each uninsured employee, the fines would total less than $600 million — for a savings of about $1.8 billion a year. People who buy policies on their own, rather than get ting them through work, are better off — but only slightly. Individuals who have insurance are “grandfathered in,” meaning they won’t have to change their insurance to meet the new minimum-benefit requirements. But if they make any changes to their current plan, they lose that grandfathered status and must bring their plan into compliance with the full range of federal rules, even if that makes the new plan more expensive or includes benefits the person doesn’t want. Worse, the grandfathering may not last long — because insurers may stop offering the old policies. After all, they can’t enroll new customers in them (aside from spouses and kids added to a “grandfathered” individual) — and “holdover” products quickly become a burden to any company. Over time, most noncomplying plans will simply fade away. As the Harvard Pilgrim example also makes clear, millions of seniors are also at risk of losing their current plan. Some 10.2 million seniors — 22 percent of all Medicare recipients — are enrolled in the Medicare Advantage program, which lets them get their Medicare coverage via private plans and enjoy benefits not included in traditional Medicare. The ObamaCare law slashes federal payments to insurers for offering Medicare Advantage plans. Naturally, many insurers are expected to stop participating in the program. Estimates suggest that a quarter to half of all seniors using the program could be forced out of their plan and back into traditional Medicare. Also at risk are the more than 45 million Americans who use Health Savings Accounts, Flexible Spending Accounts and Health Reimbursement Accounts — each of which looks to be undercut, in one way or another, by the ObamaCare law. Finally, starting in 2018, so-called “Cadillac insurance plans” — policies with an actuarial value in excess of $10,200 for an individual or $27,500 for families — get hit with a 40 percent excise tax. That tax is specifically designed to force employers to reduce benefits in plans that the government considers too generous. That first year, an estimated 12 percent of all workers will have policies hit by the tax. And the tax is designed to cover more health plans each year — meaning that every year more and more workers will find their insurance plans falling subject to the tax and their benefits reduced. Given how demonstrably false the “keep your insur ance” promise turned out to be, it is no wonder that Americans are more than a bit skeptical when Democrats tell us how great ObamaCare will ultimately be. On October 12, 2010, the Internal Revenue Service (“IRS”) issued welcome relief from the new Form W-2 reporting requirement regarding the cost of coverage under an employer-sponsored group health plan that is effective next year. Specifically, the IRS issued Notice 2010-69 (http://www.irs.gov/pub/irs-drop/n-2010-69.pdf), which made the reporting optional for 2011 Forms W-2, and indicated that guidance is coming later this year on what should be reported. The Department of Treasury and IRS also anticipate issuing additional guidance on the Form W-2 reporting requirement set forth in Code section 6051(a)(14) before the end of the year that will hopefully provide needed guidance on the various open issues related to this reporting requirement. The IRS has also posted a draft Form W-2 for 2011 (http://www.irs.gov/pub/irs-utl/draft_w-2.pdf) on its website that provides that the cost of employer-sponsored health coverage (if provided by the employer) should be reported in Box 12 of the Form W-2 using Code “DD”. This is also a helpful development, since establishing a new box on the form would require additional system changes. HONG KONG -(Dow Jones)- Fortis Global Healthcare Holdings Pte Ltd., owned by the family that controls India’s Fortis Healthcare Ltd. (532843.BY), said Sunday that it is buying the healthcare businesses of Hong Kong-listed Quality Healthcare Asia Ltd., excluding QHA’s elderly healthcare businesses. Fortis Global is paying HK$1,541 million (US$197.6 million), QHA disclosed in a separate statement to the Hong Kong stock exchange Sunday. Fortis Global Healthcare, owned by billionaire brothers Malvinder Mohan Singh and Shivinder Mohan Singh, is the family’s vehicle to spearhead the creation of a pan-Asian international healthcare business, it said in a statement. The company plans to build and aggregate healthcare businesses and assets internationally, covering various segments of healthcare from hospitals, through to diagnostics, primary care and other healthcare segments, to create an integrated healthcare business, it said. India-listed Fortis Healthcare Limited is a leading hospital chain in India. In July, Fortis Healthcare bowed out of a bidding race for Singapore’s Parkway Holdings (PKWXY, P27.SG) and sold the approximately 25% stake it held in Singapore’s largest hospital chain to Malaysia’s sovereign wealth fund Khazanah Nasional Berhad, which made a general offer for Parkway. QHA is the largest private integrated healthcare service platform in Hong Kong, providing medical services and allied health services. The acquired businesses comprise a network of over 60 wholly-owned medical centers, over 500 affiliated clinics, over 40 dental and physiotherapy centers, and a private nursing agency with a database of over 3,000 nurses. “Fortis Global Healthcare will be our vehicle of growth for international healthcare businesses outside India, allowing Fortis Healthcare in India to continue to focus on the tremendous growth in the Indian hospital business,” Malvinder Mohan Singh, Chairman of Fortis Global Healthcare, said. Editor’s Note: Last April we traveled to Costa Rica to tour medical care facilities in San Jose. We found them state of the art facilities staffed by physicians from around the world. Many practiced in the United States before moving to Costa Rica. We were surprised to discover many American patients seeking treatment there. At one hospital we visited, the waiting room was filled with Americans. The future of American health care may be overseas. Most employers who self-fund their group medical plan utilize a PPO network. This contractual agreement to access “preferred pricing” through participating providers carries certain onerous requirements such as the inability, or limited ability to audit claims. Plan Fiduciaries have a duty to oversee the assets of the plan and ensure the plan pays fair and reasonable fees. Retaining full audit rights are important. To give that right up, violates the fiduciary’s responsibility under ERISA. Here is a perfect example of a self-funded employer group who hired an independent outside forensic auditor to review a hospital bill. The audit identified $80,340.75 in overcharges to the plan. Most of these charges were for services never received by the patient, or were duplicate charges. The PPO sent the following letter – PPO Audit – to the employer threatening to terminate the contract and demanding that the self-funded employer immediately remit $80,340.75 to the hospital. Editor’s Note: This is upside down. Additional “gotchas” in a typical PPO contract include a non-compete clause which prohibits the employer from negotiating directly with providers for two years after termination of the PPO contract. An article in the Brownsville Herald dated 9/4/2010, titled “BISD takes HealthSmart to court over employee health plan costs,” Trustee Ruben Cortez (Member- Nov 2006) and Trustee Rick Zayas (Member- November 2008) were quick to come to conclusions. “The increase (in cost) was so vast that you had to either be ignorant or purposely not paying attention to not notice that something was obviously wrong,” Zayas said. Mr. Zayas had been acting as a Plan Fiduciary during the later part of HealthSmart’s tenure. Plan Fiduciaries have a duty to be responsible stewards of the BISD’s Plan’s assets, jointly funded by employees and the district, i.e. taxpayers. Mr. Zayas, albeit belatedly, appears to be exercising his duties for the first time. Basic questions need answers; who was monitoring the program during the Healthsmart tenure? Who reviewed and approved the HealthSmart contract prior to the Plan’s effective date? Were the monthly HealthSmart billings audited? Or did BISD pay bills without question? Were the HealthSmart billings compared to their proposal offer during the process to gain the business, and was it compared to the contract approved by the Board of Trustees? Were the Plan Fiduciaries acting in the best interests of the Plan or were they negligent in their duties? If the so called “overcharge” of $2.49 is accurate, then why did the BISD not catch this significant financial billing error? A review of RFP # 09-150, Request for Proposal for Third Party Administration (TPA)-Services for the Self-Insured Group Health Plan and Stop-Loss Insurance included a breakdown of fees for TPA services being provided by HealthSmart. “PEPM” stands for Per Employee Per Month. Mr. Cortez was quoted in the article “We’re going after them to get out money back.” Unfortunately Mr. Cortez may have not done a thorough job on his homework here. He appears to be basing his comment on the HealthSmart contract which shows the disease management monthly charge as “per diseased member.” However, this is an obvious clerical error no one discovered for years. Disease management fees are routinely charged on a PEPM basis as a standard industry practice. The article cited a quote from the BISD outside auditor who wrote “ HealthSmart “engaged in gross deviations from accepted industry customs and practices by renegotiating discounts with the PPO and charging an access fee in addition to a 30 percent fee of the ‘savings’ on a claim-by-claim basis, … essentially dealing beneath its corporate umbrella and basically paying itself twice at the expense of BISD.” This statement may tend to lead the reader into believing that something illegal or out of the ordinary occurred during the HealthSmart tenure. One must be careful in forming opinions that may have no basis in fact. A careful review of the audit and the HealthSmart Administration Agreement may bring answers that would preclude a lawsuit loss before a jury. The audit report stated HealthSmart reported that 3% of paid claims totaling $906,876 were classified as “Out-of-Network” claims. Outlined in the recently issued audit report, which this lawsuit is based, BISD wrote checks in the amount of $558,334 (2007-2008) made payable to HealthSmart for Out-of-Network and Network claims negotiations. Month after month, it appears that checks were written for services without any type of internal audit or reconciliation or review of the contract. An additional amount of $641,421 was paid during the 2008-2009 contract year for a total of $1,199,775 over a two year period. Not included in the Brownsville Herald article, but mentioned in the recently released audit was an “untouchable” 66.5% discount off billed charges offered by HealthSmart. Could it be that when something is discounted by 66.5% it is because the original price is too high to begin with? Rising health care costs along with better discounts seems paradoxical. The audit states that for every 1% loss in discount, there is a loss of savings in the amount of $700,000 to the district. Is this statement supportable? “I feel proud that we held strong to our convictions to get rid of HealthSmart. Now it is projected that BISD will save $7 million in its first year with MAA.” Zayas said. Actually, the “claim savings” will be much higher than this, approximately $10 to $15 million. That is due to claim lag. During the first three months of the current Plan, little or no claims are incurred and paid. A 90 day claim lag is normal. To characterize claim lag as a Plan savings would be misinformed. There is no question that medical claims for the BISD self-funded health plan are increasing. Could that be due to local health care providers charging more? And, do area medical care providers agree to take less money from one PPO network than another? These are questions that need to be addressed with facts and not opinions. The Brownsville Independent School District, with a budget approaching half a billion dollars, would do well to hire a full-time risk manager. An experienced in-house risk manager would have provided sound guidance for the BISD and thus prevented an expensive and time consuming lawsuit. That alone would have paid for his salary and that of his staff. It appears that the Brownsville Independent School District’s self-funded employee welfare plan has been without proper oversight and sound plan management. The BISD lawsuit against HealthSmart is going to answer a lot of these questions, and more. Politics should have no play in the courtroom. Group purchase consortiums provide an excellent way for mid-sized employers to self-fund their medical benefit plans. However, the traditional stop loss market is not a very good fit to execute this strategy. To be successful with managing the self-funded risk within a consortium, a different approach can be more effective and low cost. Traditional stop loss is an insurance vehicle driven primarily by underwriting skills. The primary goals are to “select risk” and tightly manage loss levels to the carrier’s goals. An alternative view, more suited to group purchasing consortiums, is to structure stop loss as a financing vehicle driven primarily by actuarial considerations of fair price, appropriate, spread of risk, and efficiencies of scale. The stop loss insurance business is an underwriter’s game. Their game plan is to avoid paying claims. They screen each prospect with claim review and disclosure requirements, and reject or rate-up anyone who may actually present a claim. The higher the deductible, the more effective this process, hence the bias to drive deductibles higher and higher. The carriers who have done best in this business have been the ones with average higher deductibles for this reason. Backing up the underwriters is a team of contract and claim experts whose job is to swat down as many in-coming claims as possible. These are the “free safeties” of the stop loss business. Their job is to scrutinize each claim for errors in disclosure, honest or otherwise, and look for matches to an array of contract exclusions that are generally more restrictive than the typical self-funded plan document. Sell policies to employers who don’t need it. This is known in industry parlance as a “clean risk”. If number one fails, the next weapon is coverage gaps and claim denials. Industry parlance is “tight contract” and “claim audit”. The success of aggregate stop loss insurance is similarly based on aggressive claim control. Good underwriters place the attachment at a level unlikely to breach. Experience has shown a 25% corridor, if properly placed, generally satisfies this requirement. The successful loss ratio for a savvy underwriter is zero. The result of all this is to place a double whammy on the hapless small to mid-sized self-funded employer who not only faces the prospect of accepting normal insurance fluctuation risk, but also the uncertainty of failed insurance when they need it most. Who’s to blame here? Actually, it’s the buyer, if anyone. Employers and their brokers simply buy the cheapest price without any regard for understanding and managing risk or considering the global picture. It’s the stop loss carriers who have no choice but to meet market demand and assemble the team of claim avoidance experts in order to deliver the cheap price the employers demand to see on the spread sheet of pricing options. None of this is meant to malign underwriting or the insurance carriers. Underwriting is a tough, highly skilled job, and stop loss insurance is an honest business carried out by people who work hard to provide value for the slim premiums the marketplace allows. Nonetheless, the reality is that thin prices and thin coverage create instability and poor risk management dynamics for employers choosing to self-fund and subvert the purpose of the consortium concept. Group consortium purchasing presents an opportunity for mid-sized employers to aggregate together, design a new model that eliminates the perils of self-funding, and welcome stop loss carriers as a partner, not an adversary. Replacing the underwriting model with an actuarial model can produce a system that aligns the incentives between buyer and seller and creates safety for each party. An important observation to make is that underwriters and their team of free safeties generally do not avoid claims, but rather re-direct who pays the claims. They may shove the claim back to the employer who has limited resources to pay the claim. Employers sometimes shove the claim to their administrator if it was their mistake that led to the denial; even worse, to the participant with the least amount of resources who failed to follow the managed care protocols. If the underwriter assesses high rates at renewal to avoid the claim, the employer may flee to the high cost fully insured market but will inevitably pay for the claim through insurance premiums. All this activity generates a lot of cost but doesn’t really take any money out of the system – it’s just a game of hot potato to see who gets stuck with the claim. A successful group purchase program has the opportunity to re-write the rules. Employers who come together in a consortium can mutually agree to share the risk of shock claims that are covered by their plan documents using stop loss insurance without the holes. Deductible levels can be set actuarially at an appropriate level (probably lower than the stop loss carriers would prefer) to share risk and suppress fluctuations. With an agreement to share risk at actuarially determined deductibles, financed through stop loss premium, there is no need for disclosure, lasers, coverage gaps, and punitive renewals since these mechanisms simply re-direct which employer gets stuck with the claim and don’t really save money from the system. The underwriting function is reduced to preventing anti-selection by any employer wanting to join the consortium. Similarly, on the aggregate side, a cluster of employers can aggregate for the purpose of sharing aggregate risk and place attachment points at a level that actually have some meaning. That is to say, place attachment points that will cap the self-funded aggregate claims each year for some members of the pool that experience the occasional high claim year. The role of the actuary in the new model is to enhance value for both the buyer and the seller. For the buyer (employer), the actuary must design appropriate risk share mechanisms and attachment points that produce predictability, stability, and fairness across the employers participating in the group purchase. Fairness arises from careful analysis and balancing of the risk each employer presents to the consortium pool. For the carrier, an accurate estimate of insured risk and adequate pricing, over time, insures that fair but modest profit goals are being met for the carrier. This system is actually cheaper since it eliminates the overhead and administrative complexity of underwriting, disclosure, claim denials and audits, law suits, constant shopping, and flights in and out of fully insured programs. The overhead costs of the underwriting and claim review juggernaut is thus replaced by actuarial guidance at a lower cost. The claim burden for the system remains the same but is now appropriately spread over a larger base without lasers, denials, rejections, or inappropriately high deductibles. Further savings are achieved from volume discounts for both stop loss coverage and service vendors. This system is more efficient as it enables employers to create a stable platform that unlocks the savings of self-funding but eliminates the array of hazards that cause some self-funded programs to incur large losses and flee back to full insurance at a high cost. Employers have to realize cheap stop loss premiums result from high deductibles and thin coverage. The cheaper the stop loss, the more the carrier is compelled to seek ways not to pay claims, that is to say, tough underwriting and claim review. The claims not paid by the carrier are usually paid by the employer, or worse, the participant. Employers willing to seek a stable sustainable program will acknowledge there are a certain number of claims that will occur as a result of providing employee health coverage. These claims are going to be financed by somebody. They have a choice of traditional stop loss with all the inherent instability and uncertainty, or else they can agree, with their consortium partners, to jointly finance the shock claims across the consortium with fairness, spread of risk, and year-to-year stability. Having agreed to finance these claims in a different fashion, the final step is to find a carrier partner with sufficient capital to provide a bigger pool of money to absorb shocks and take the transfer of risk at a fair price. Mr. Burd is a practicing actuary specializing in designing group medical risk share mechanisms and placing stop loss coverage for consortiums of employers, both public and private. Benecon manages ten group purchase consortiums across two states covering about 20,000 employees. Mr. Burd has over 30 years of actuarial experience working with group medical plans and other employee benefit programs. Prior to joining The Benecon Group in 2001, he was Vice President and Corporate Actuary for Educators Mutual Life Insurance Company in Lancaster, Pennsylvania. Mr. Burd’s expertise is in the area of group insurance programs, both fully insured and self funded, including pricing models, underwriting, trend analysis, claim modeling and projections, demographics, and credibility and statistical concepts. He is a Fellow of the Society of Actuaries (FSA) and a Member of the American Academy of Actuaries (MAAA). Editor’s Note: Retain, Share and Transfer make up the components of a captive. Retain predictible risk, share mid-level risk, and transfer all catastrophic risk. Some of you have read this redacted email – PPO Rebates – in the previous posting below and have hypothesized that the end result in comparing PPO discounts versus what is actually paid to a participating provider is exactly the same. That is, no matter what the purported discount is, whether it be 48% or 50%, the hospital gets the same payment regardless. This is assuming that the hospital bills all payers the same, which of course they do not do (hospitals will argue this point, but the fact is they use different modifying codes against their Chargemaster for different payers). In this example, PPO “A” with the better discount pays the hospital the same as PPO “B” but the consumer pays more. Many who read this blog have read several postings regarding hidden revenue streams within some PPO contracts. The question many self-funded group health plans should ask is: Are all the purported PPO discounts passed on to the consumer? The answer, many have found, is probably no. A land mark lawsuit – Oakland County vs BCBS – may be an example that illustrates this phenomenon. Molly Mulebriar, seasoned private investigator and roving reporterette, provided us a peek at the PPO underworld through an email she received in an unmarked brown paper envelope yesterday – PPO Rebates. Editor’s Note: We have noted that the Brownsville Independent School District VS HealthSmart lawsuit is going to be something to watch for those of us in the insurance industry. Through the discovery phase valuable information will be exposed to the public, if participating attorneys know what questions to ask. The Mystery Behind Hospital Charge Masters – Is Pricing Enforceable? According to the lawsuit, “hospital costs are marked up by a mathematical formula designed to produce a targeted amount of profit for the hospital.” The lawsuit also states that the hospital updates their charge master weekly (THIS IS IMPORTANT TO UNDERSTAND – CONSULTANTS COMPARE PPO PERFORMANCE BETWEEN ONE PPO NETWORK AGAINST ANOTHER PPO NETWORK OVER A LENGTH OF TIME, BUT DO NOT TAKE INTO ACCOUNT THE EVER CHANGING CHARGE MASTER – THIS WILL COME OUT IN THE BROWNSVILLE INDEPENDENT SCHOOL DISTRICT VS HEALTHSMART LAWSUIT – SEE PREVIOUS POSTINGS ON THIS LAWSUIT). Editor’s Note: If it is true that “hospital costs are marked up by a mathmatical formula designed to produce a targeted amount of profit for the hospital”, than one can call a Charge Master a Cost-Plus document. We strongly support the Cost Plus concept of reimbursing hospitals for services rendered. But, Cost Plus 500-1000% does not seem to be fair and reasonable to us. We like cost plus 1% as used by Medicare currently on two pilot projects with over 200 hospitals nationally. Our clients pay cost plus 12% and have cut their hospital expenses significantly. Our clients save money, and hospitals are guaranteed a 12% profit margin. A win win for both sides. AMARILLO, TEXAS — Blue Cross-Blue Shield of Texas will not be accepted at Northwest Texas Hospital by the end of the year. Northwest’s CEO Kyle Sanders says he’s dropping the contract because the insurance carrier won’t allow the hospital access to all their services for patients. He says by ending the contract, he hopes it will force Blue Cross back to the negotiating table soon. If no new contract is signed, Northwest will stop accepting Blue Cross-Blue Shield of Texas on January 1st. Editor’s Note: We recently did a study of hospital costs in East Texas for a client located near the Louisiana border. Employees could access two hospitals in town – one was out-of-network and the other in-network. A review of hospital charges from each hospital showed the average cost of the in-network hospital on average was 300-400% higher than the out-of-network hospital. Physicians in the area generally had admitting privaleges at each hospital. The in-network hospital utilization for the prior year cost the client’s self-funded group medical plan in excess of $2 million over what would have been the cost at the out-of-network hospital. Which Controls – Plan Document or PPO Contract? Negotiating PPO agreements and stop loss contracts consistent with the Summary Plan Description is a significant undertaking in today’s current marketplace. TPA’s are typically obligated to honor the PPO agreement and reimburse providers for unreasonable charges, posing reoccurring issues of wasting valuable assets for TPA’s and their plans. Editor’s Note: ERISA mandates that a Plan Fiduciary pay only fair and reasonable rates. A Plan Fiduciary must practice due dilligence in assessing what is fair and reasonable to protect the assests of the Plan. Since Plan Sponsors are only third party beneficiaries of PPO contracts, and have little or no knowledge as to the terms and rates agreed between the PPO network and their participating providers, is the Plan Sponsor/Fiduciary acting in a prudent business fashion as required by Federal Law? Probably not. Editor’s Note: This lawsuit is going to open up a can of worms for the BISD. Lawyers are going to have a field day with this. Editor’s Note: Cost Plus payment is fair and reasonable. Most will agree, except hospitals. They are used to getting paid much more, much much more. For example, an actual claim for a pre-mature baby is eye opening: Billed charges were $450,000 (For those of you in Bluster Bunns, Montana, billed charges are whatever a hospital says they are, have no earthly or reasonable relationship to cost, and is the same strategy employed by automotive manufacturers). We ran this claim through a PPO contract we were privy to (a large national PPO) and the allowed charges reduced to about $250,000. Hey, not bad, right? But, when we ran the claim through our data base, using the hospital’s own cost report on file with the federal government, and adding a 12% profit margin (hey, we all deserve to make a reasonable profit), our employer’s self-funded medical plan cut a check to the hospital for about $98,000. Concluesion – hospitals and car dealerships employ the same insane pricing strategies – the only difference is that hospitals dont employ salesmen (or are PPO’s acting as their salesmen?). Christus Santa Rosa Health System plans to convert one of its outpatient surgery centers near Alamo Heights to a 35-bed surgical hospital that’s slated to open in early 2012. The renovation and expansion of the building will cost $25 million. While Christus will own the hospital, it will contract with a company owned by about 40 doctors to co-manage the facility — an arrangement that’s emerging as an alternative to hospitals employing or entering into joint ventures with physicians. Co-management deals are seen as a way to try to improve care while lowering costs. The hospital will cater to patients who require short says of two to four days. “About 85 (percent) to 90 percent of inpatient surgeries will be done on this campus: that could be anything from hip replacements to appendectomies to gall-bladder surgery,” said Patrick B. Carrier, Christus’ president and CEO. The hospital won’t handle more complicated procedures, such as open-heart surgery. It’s expected to employ about 100 people, with about 150 doctors on staff. The hospital will replace the Christus Santa Rosa Physician Ambulatory Surgery Center that’s located in a 19,000-square-foot building at 403 Treeline Park. Outpatient surgeries will continue in the surgery center next door in a 31,000-square-foot building at 423 Treeline Park. Redevelopment work on the smaller building, which Carrier said originally was built to inpatient hospital standards, will start in December. The work will include the addition of 7,000 square feet. Christus acquired a majority stake in the two surgery centers, along with one in Stone Oak and one in the South Texas Medical Center about a year ago from Foundation Surgery Center of San Antonio. A local physicians group has a minority interest in the centers. WASHINGTON, Oct 01, 2010 (BUSINESS WIRE) — The U.S. Department of Health and Human Services (HHS) today announced that new information and tools have been added to HHS’ consumer website www.healthcare.gov that will make the health insurance market more transparent, increase competition and help lower costs for individuals. For the first time ever, price estimates for private insurance policies are available, allowing consumers to easily compare health insurance plans — putting consumers, not their insurance companies, in charge by providing one-stop shopping and taking the guesswork and confusion out of buying insurance. Insurance providers are required to provide the percentage of people who applied for insurance and were denied coverage. Insurance companies are required to provide the percentage of applicants who were charged higher premiums because of their health status. More than 225 insurance companies have provided information about their individual and family plans for more than 4,400 policies, including policies in every state and the District of Columbia. Consumers can search for and compare information on plans available to them based on their age, gender, family size, tobacco use and location. For more information, visit our Facebook page at Facebook.com/HealthCare.gov, or the @HealthCareGov Twitter account. To download a www.HealthCare.gov Insurance Finder widget — so that visitors to your website can easily start searching for health coverage options — visit www.HealthCare.gov/stay_connected.html. 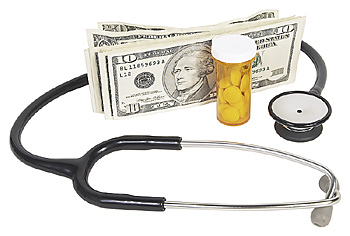 A Hewitt study concludes that group medical costs will increase 8.8% in 2011. The prime reason? “Aging workforce” is Hewitt’s concluesion. We think there are other more reasonable explanations, such as secretive PPO contracts that include automatic “pay raises” for participating providers, as much as 12%, year after year after year. The compounding effect of these “pay raises” mirror medical inflation it seems. According to the Hewitt report, medical trend for each of the past five years (including estimated trend for 2011) have increased medical costs by a whooping +48% since 2006. The real root of rising medical costs is rising pay for medical care providers. Third party payers insulate the consumer from the real cost so consumers dont care, dont ask, but continue to demand low co-pays, and low out-of-pocket expenses from the insurance industry. Consumers simply dont get it. Thus, Nationalization of the United States Health Care System has started. Government will provide access to health care to all, lower costs, and generally improve the system according to career politicians who favor government intervention. We have a better solution – mandate the end of health insurance completely, prohibit employers from offering any kind of group medical benefit plan, and transform the health care delivery system to a cash based system as currently exists in Communist China. Then consumers and providers can bargain for care in a competitive environment.